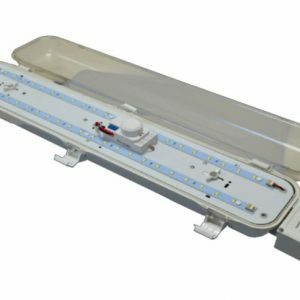 The VP2 2ft Vapour Proof LED Light is an IP65 Tri-proof, weatherproof and anti-corrosive luminaire. Both the case and the diffuser are manufactured in high quality polycarbonate to provide extra strength and durability. As standard the fitting is supplied with Poly- carbonate Clips but stainless steel is also available as an option. 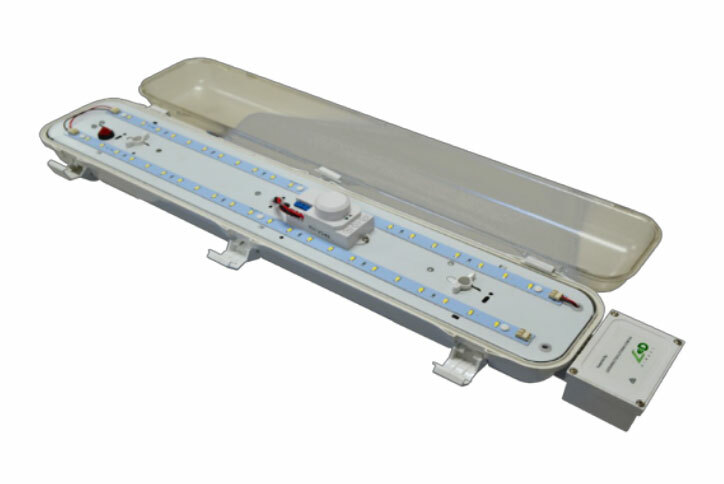 The VP2, with its wide even spread of light, is suitable for illuminating multi- storey car parks, fire stairs, food processing areas, workshops, tunnels, railway stations, cold stores and many other applications that are subject to moist or dusty environments. an inbuilt microwave sensor to dim the unit as required, as standard it is supplied to dim to 5w, thus optimising energy efficiency and control. The VP2-BBD incorporates a Battery Backup function in case of power failure together with the dimming sensor.